As I’ve written about previously, we established a marketers’ book club on our campus in 2016, where each semester interested staff read a non-marketing book that has marketing implications and then gather at the end of the semester for a discussion over lunch. The purpose is to provide a learning opportunity and an additional way to informally connect with marketing and communications colleagues in other units. 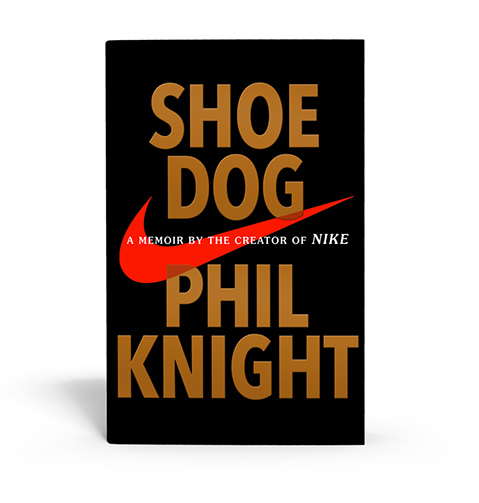 This past fall we read Shoe Dog: A Memoir by the Creator of Nike. As we approach our university’s bicentennial in 2020, it seemed fitting to explore the origin story of another organization – in this case one that has become an iconic global brand. 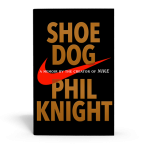 No matter your interests, Shoe Dog is worth a read simply to experience the remarkable journey that Knight details. (I have two teenagers, and they both devoured the book. As runners, they especially enjoyed learning about the impact that the renowned University of Oregon track program had on Knight and the company.) It starts in 1962 after Stanford graduate business school with his trip around the globe, including Japan to pitch “the Crazy Idea” to import running shoes from there. His candid account of the company’s beginnings covers its struggles and his own. Even with rising sales, the company spent nearly two decades on the verge of bankruptcy, and Knight is open about his shortcomings. He is an exceptional storyteller, and his mastery serves as a reminder that if we want to create an emotional connection with our audience, tell a story. 2. Marketing starts with understanding your audience. It’s hard to think of Nike without thinking of its advertising prowess, but Knight did not believe in advertising then. “A product, I thought, speaks for itself, or it doesn’t.” He also shares some entertaining stories about his own marketing-related miscalculations. For instance, Knight was originally not a fan of the now famous Nike swoosh logo. “It’ll have to do.” (He paid $35 to an art student he had met when teaching at Portland State University.) Similarly, Knight was reluctant about the brand name. He repeatedly lobbied for Dimension Six, but his team’s idea, Nike (the Greek goddess of victory), prevailed. He was a runner and part of a running “cult,” before running was mainstream. He knew his niche audience and how to serve them, which fueled the shoe innovations that he and his partner, legendary coach Bill Bowerman, developed. 3. Is your brand’s higher purpose galvanizing? One of the more fascinating elements of the book is the cast of characters that Knight assembled to help him. It was a team of underdogs with an interesting mix of backgrounds who worked hard, had fun, and believed in something bigger. This belief was contagious internally and externally and proved to be a powerful force despite the many obstacles that the company endured. It seems wrong to call it “business.” It seems wrong to throw all those hectic days and sleepless nights, all those magnificent triumphs and desperate struggles, under that bland, generic banner: business. What we were doing felt like so much more. Each new day brought fifty new problems, fifty tough decisions that needed to be made, right now, and we were always acutely aware that one rash move, one wrong decision could be the end. The margin for error was forever getting narrower, while the stakes were forever creeping higher – and none of us wavered in the belief that “stakes” didn’t mean “money”. For some, I realize, business is the all-out pursuit of profits, period, full stop, but for us business was no more about making money than being human is about making blood. Yes, the human body needs blood. It needs to manufacture red and white cells and platelets and redistribute them evenly, smoothly, to all the right places, on time, or else. But that day-to-day business of the human body isn’t our mission as human beings. It’s a basic process that enables our higher aims, and life always strives to transcend the basic processes of living – and at some point in the late 1970s, I did, too. I redefined winning, expanded it beyond my original definition of not losing, of merely staying alive. That was no longer enough to sustain me, or my company. We wanted, as all great businesses do, to contribute, and we dared to say so aloud. When you make something, when you improve something, when you deliver something, when you add some new thing or service to the lives of strangers, making them happier, or healthier, or safer, or better, and when you do it all crisply and efficiently, smartly, the way everything should be done but so seldom is — you’re participating more fully in the whole grand human drama. More than simply alive, you’re helping others to live more fully, and if that’s business, all right, call me a businessman. Maybe it will grow on me. What a great reminder that at our colleges and universities we’re helping students and others to live more fully, and that’s pretty incredible.